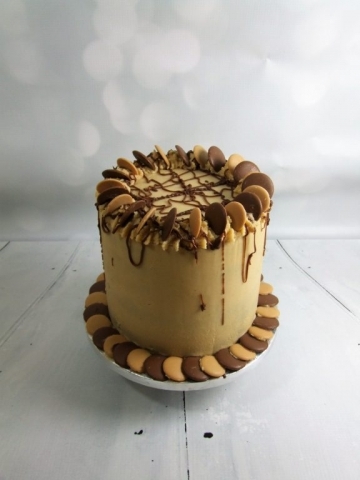 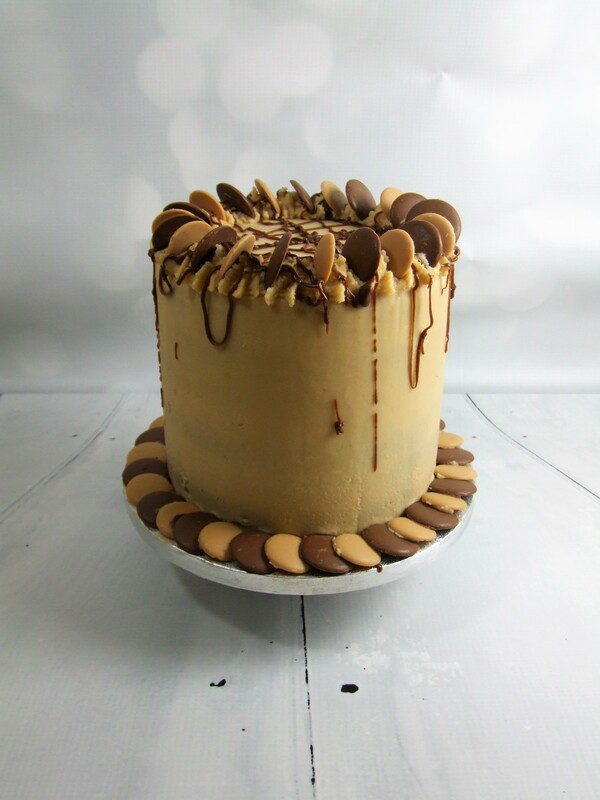 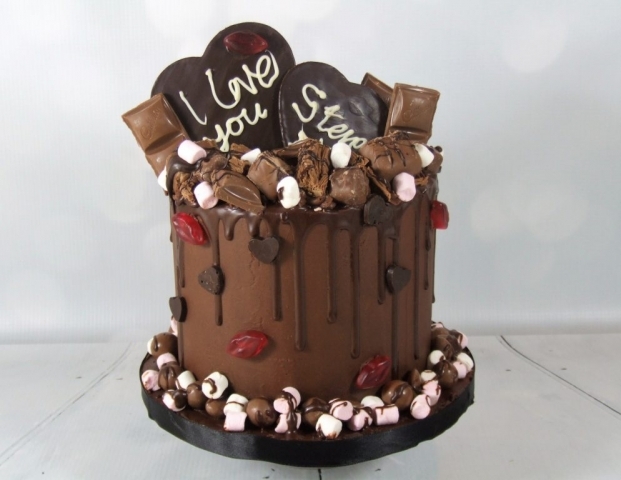 Chocolate drip cakes – a new fashion in chocolate cake, and certainly one I’d like to do more of – extra tall sponge cake, usually 6″ round, covered in rich chocolate ganache (no sugarpaste), piled as high as you like with your favourite chocolate treats and an over-spill of chocolate dripping down the sides – chocolate overload! 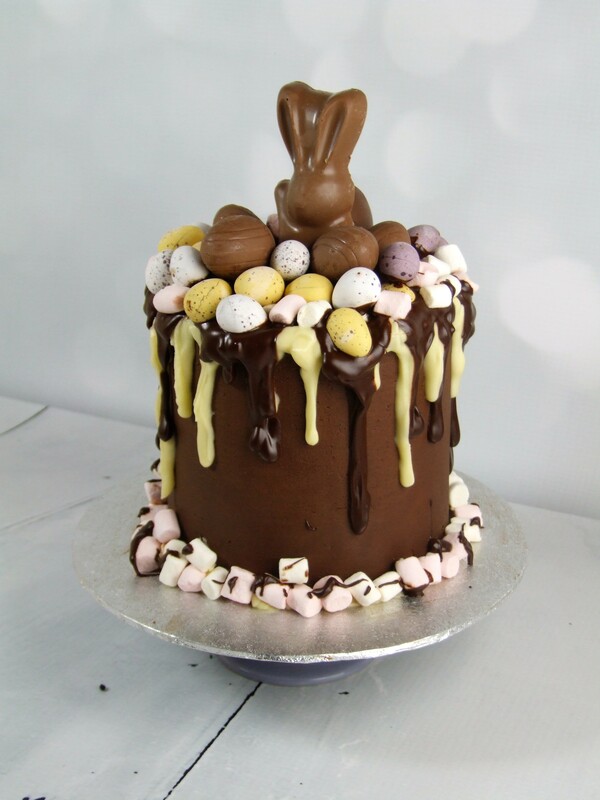 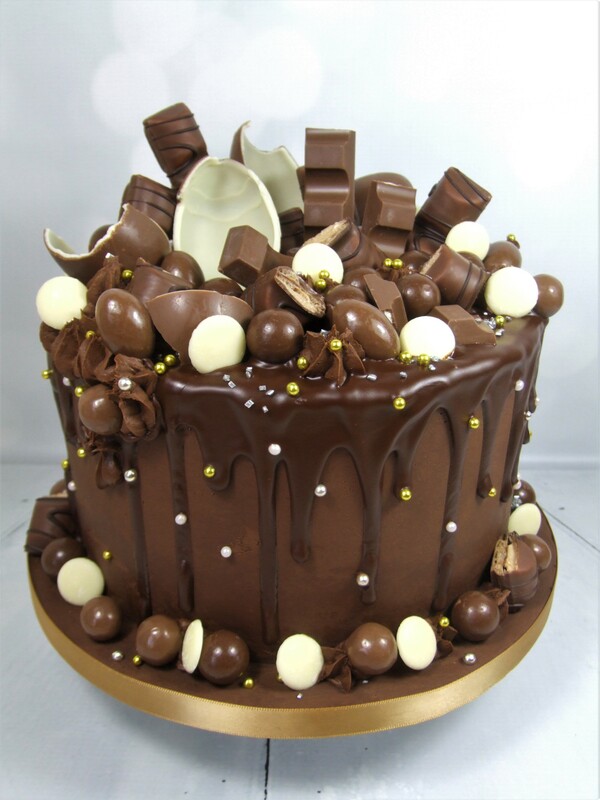 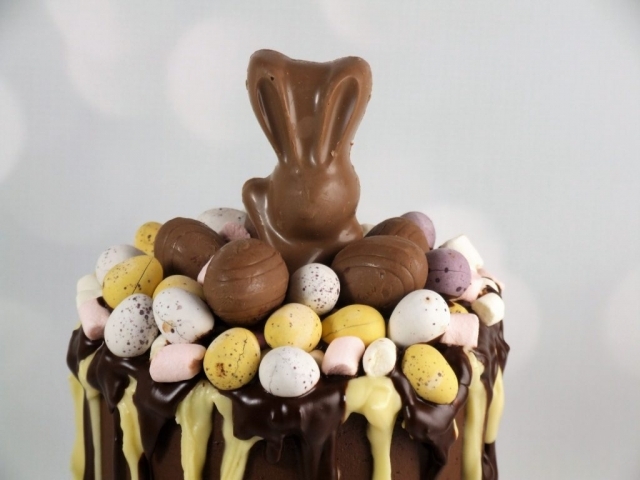 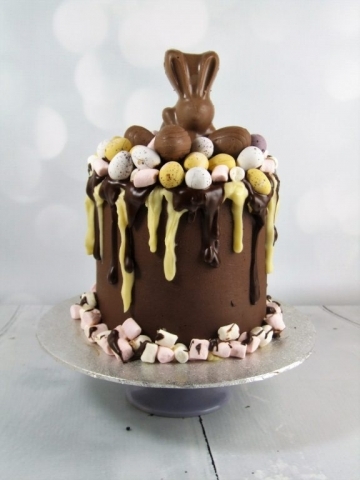 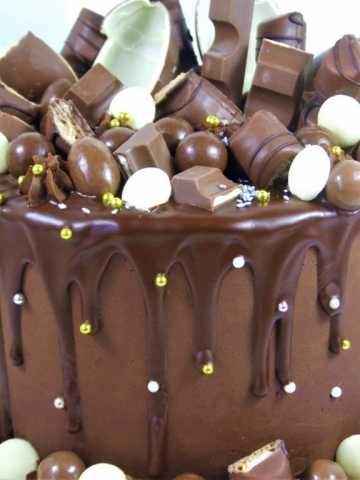 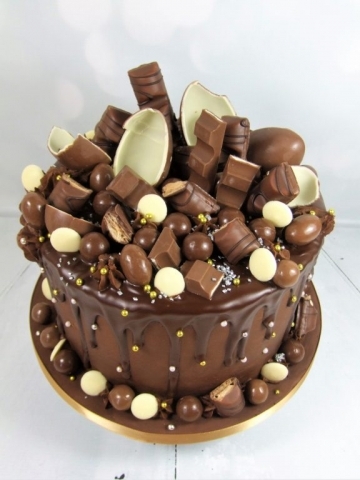 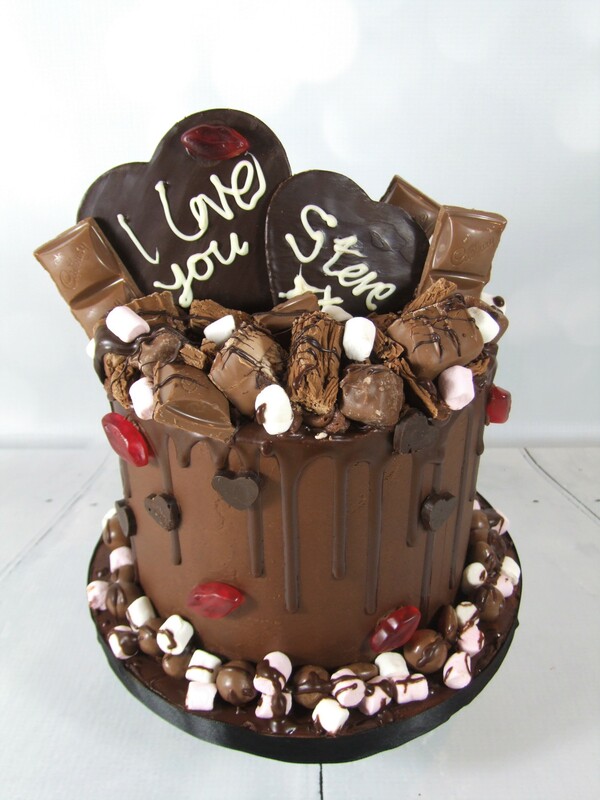 Whats not to like for your average chocoholic?! 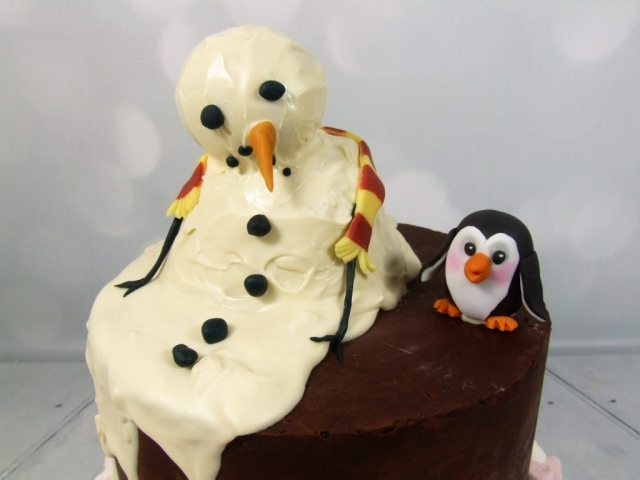 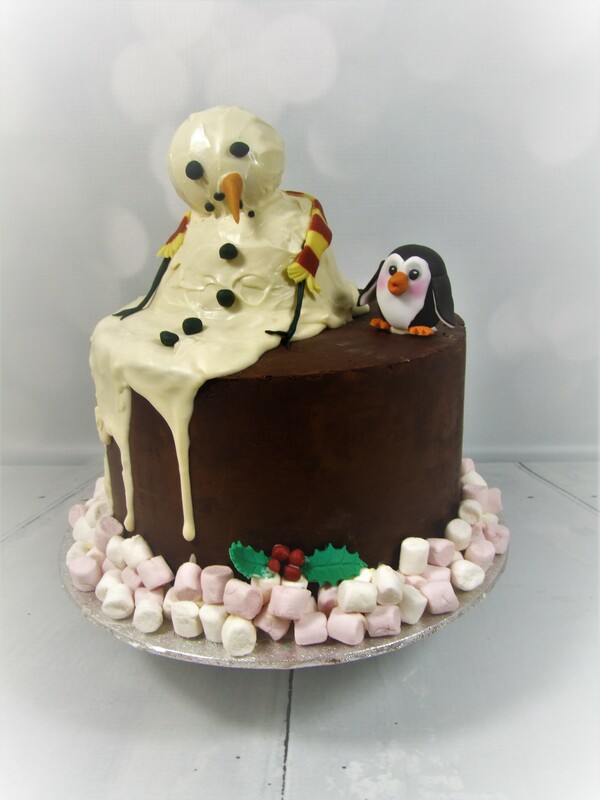 A few variations here, including one made from Caramac bar, another with added jelly sweets, one with kinder chocolates and one was even our Christmas cake with a cakepop style snowman – your imagination is the limit!